Does the NAD’s Capillus Decision Baldly Contradict the FDA? On September 12, the NAD released its decision in its review of the Capillus82 hair growth device (Case #6107). This case is unusual in that it addressed a challenge to a prescription-only medical device, and related closely to the FDA’s clearance of that product to be marketed. The NAD took pains to emphasize that its decision did not contradict the device’s FDA-cleared indication for use, but did it really? First, a little background on how the FDA treats medical devices of this kind. Low-to-moderate-risk medical devices may be marketed without preapproval through what is known as the 510(k) clearance process. Instead of being evaluated and approved by the FDA for safety and efficacy, the device can be “cleared” if it is “substantially equivalent” to a device that already is legally marketed. The existing “predicate device” may itself have undergone full approval, or it too may be a 510(k) cleared device pointing to a yet earlier predicate device. The device maker’s 510(k) submission must convince the FDA that the new device is technologically equivalent to the predicate device or is otherwise substantially equivalent in safety and effectiveness. The intended use must be the same as that of the predicate device. The process has been analogized to a generic drug approval predicated on chemical equivalence to an existing branded drug. 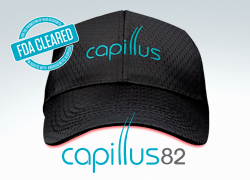 The Capillus82 is a hat with 82 laser diodes lining the inside. Its intended use is to treat androgentic alopecia (i.e., slow hair loss) and promote hair regrowth in men and women having certain kinds of pattern baldness. It received FDA 510(k) clearance in January 2017, with the predicate devices being the Hairmax Lasercomb and the iGrow II – no, I am not making these up – which used different form factors to apply laser light to the head, something that apparently promotes hair growth. Clearance was applied for and granted on the basis that the Capillus82’s technology was the same as those of the Lasercomb, iGrow and other laser hair growth treatments, with minor differences that should have no impact on safety or efficacy. The NAD started this matter based on its own market surveillance, investigating the Capillus82’s claims that it was “clinically proven to regrow hair” and “prevent progression of hair loss,” among others. Capillus proffered no clinical trial data on the Capillus82 to support these claims. After all, the whole point of 510(k) clearance is to show technological equivalence to a predicate product, thus demonstrating efficacy to the FDA, without having to do trials on the new device. The NAD similarly recommended discontinuation of Capillus’s claim that the Capillus82 has “no known side effects,” because these claims were not supported by tests on the actual product. Again, Capillus had relied on substantial technological equivalence to predicate products to establish Capillus82 as being safe, as well as effective, in its 510(k) submission. So, is this a bald rejection of the FDA’s clearance process? The NAD opened its decision by claiming deference to the regulatory authority and later wrote, “nothing in the decision prevents Capillus from making claims about its product which are consistent with its FDA clearance for indications of use, i.e., to treat androgenetic alopecia and promote hair growth in men and women with specific patterns of hair loss and skin types.” But, to borrow a finance expression, the NAD’s explanation has some hair on it. 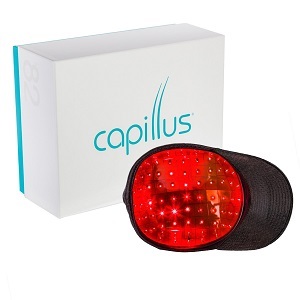 The claim of which NAD disapproved – “Capillus laser therapy caps prevent progression of hair loss and regrow thinning hair” – seems a straightforward statement of the product’s key benefit, consistent with its FDA-cleared indication for use. The FDA cleared Capillus to market the Capillus82 with no disclosure of any side effects, evidently satisfied that there were none to disclose – yet the NAD considered the affirmative statement of no known side effects unsubstantiated. Can Capillus say nothing about its product other than a dry repetition of its FDA indication language? If the NAD is right that neither the basic benefit nor the lack of side effects is substantiated, should the product even be on the market? It would seem that the whole premise of FDA 510(k) clearance – that clinical evidence of the safety and efficacy of Device A is transferable to substantially equivalent Device B – was rejected by the NAD. This case serves as a heads-up to marketers of 510(k)-cleared medical devices that the NAD may regard clinical testing on the actual product as necessary to go beyond merely being permitted to market the product by making affirmative benefit claims for it, even if those benefit claims seem to be implied by the FDA’s clearance of the device.